Practitioners are often urged to put theory into practice; to implement new approaches which have been derived from the testing of hypotheses and quality research. The encouragement is well-taken. But what if we reversed the concept and used first-hand experience as the basis for developing theories? 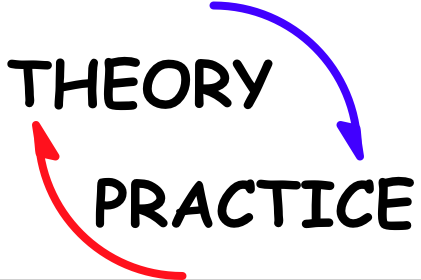 Recently, I have been working on putting my practice into theory. The process has been one of deep reflection on my experiences of 30 years in leadership; deconstructing those experiences and then formulating conceptual frameworks and ways of understanding. The process would not qualify as action research, which I believe has great benefits for the participant researchers. These are my personal perspectives and views, so I cannot claim some objective or academic basis, although such views will have been informed by other readings and influences. The process has been more one of recalling and sifting experiences and then reflecting on what these may have meant. Perhaps I could coin the term ‘re-searching’ to describe my endeavours. Virginia Woolf proposed that a woman needed ‘a room of one’s own,’ a space to think and write. While place may no longer be such an impediment for women, finding the time to think and compose continues to be a challenge; indeed, for most practicing leaders. I have found the opportunity to do so intriguing. Thanks Pam… looking forward to your posts.